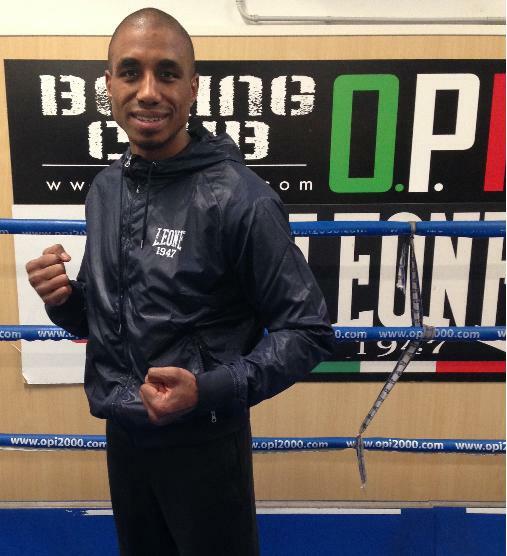 Next Saturday, November 7, Principe Theater in Milan (Italy) will host the ninth show in eleven months promoted by Principe Boxing Events and OPI 2000. 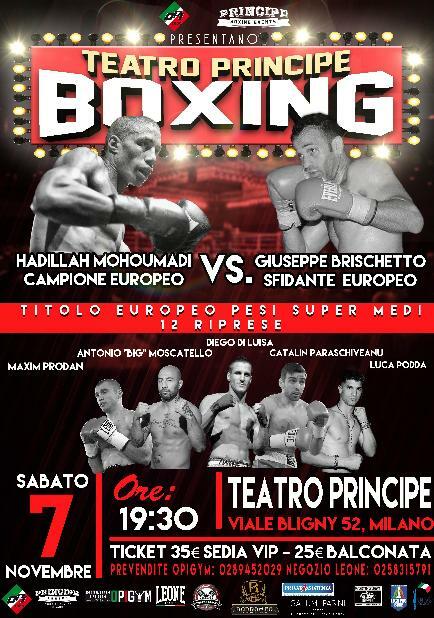 Milan, November 2, 2015 – In the main event European super middleweight champion Hadillah Mohoumadi (France, 19 wins – 14 inside the distance – 3 losses and 1 draw) will defend against Giuseppe Brischetto (13-3). Mohoumadi is a former French champion and is coming from the biggest win of his career as he stopped in eight rounds Mariano Hilario in Spain last May for the vacant EBU crown. Brischetto should have faced Valerio Ranaldi for the vacant Italian super middleweight title on November 6 in Sicily, but he pulled out to get the biggest chance of his career. Brischetto has the distinction of knocking out in two rounds Orial Kolaj, an Italian-Albanian brawler who would go on to became Italian and European Union light heavyweight champion. It was Brischetto’s second professional fight. The event will be broadcast by Deejay Tv in Italy, FightKlub in Poland and L’Equipe Tv in France.